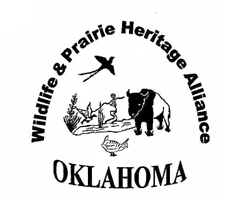 The OWPHA was formed to provide enhanced coordination, cooperation and communication to conserve the short and mixed grass prairie's diverse habitat and unique wildlife which is found in Western Oklahoma. The OWPHA distributes information to assist landowners, informs the region's communities and businesses, and serves as a conduit for wildlife and prairie heritage programming opportunities for the area. The OWPHA's main objective is to bridge the gap between programs and projects. The following links will take you to .pdf documents for download. All retain their orginator's copyright. All are found in the public domain, OWPHA has just gathered them into one easy to find location.